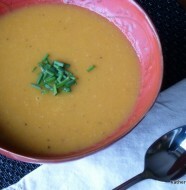 My sister-in-law Terry made this delicious garlic soup last night for dinner. She added homemade croutons and shaved parmesan as a garnish which gave it some texture and added flavor. It’s not a complicated recipe and it is heartier than it sounds, just a light salad as an accompaniment works. 1. Take the sliced onion and saute in a little oil until golden brown and soft. 2. 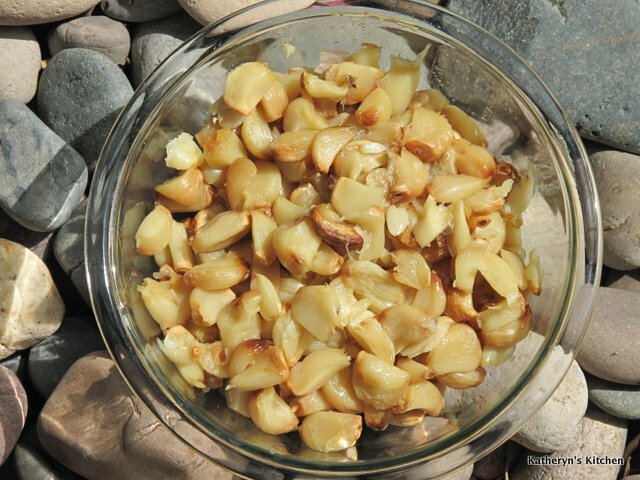 Separate roasted garlic from the bulbs by squeezing them out, they should be quite soft and easy to remove. 3. 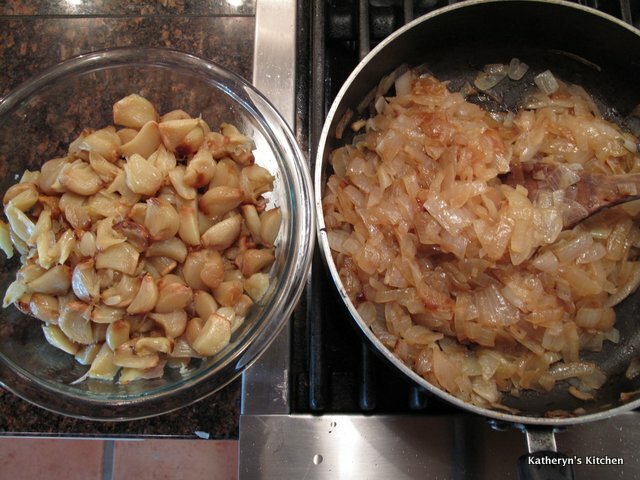 In a blender add 1/2 a litre of chicken stock and half of the sauteed onions and half of the roasted garlic, blend until smooth. 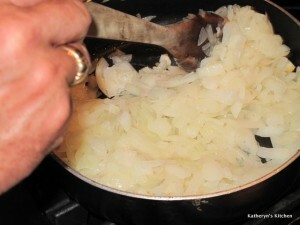 Repeat with another 1/2 litre of chicken stock and the rest of the garlic and onion, blend until smooth. 4. In a soup pot melt the 1/4 cup of butter and then add the flour to make a roux. 5. 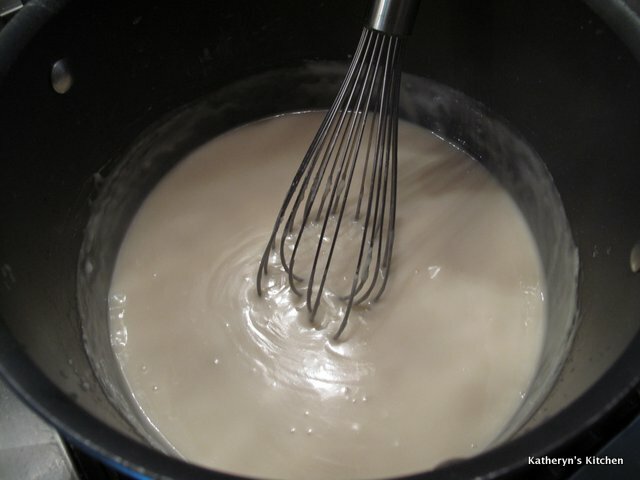 Slowly whisk into the roux the last 1/2 litre of chicken stock and bring mixture to a simmer, stirring constantly. You want to cook out the flour flavor. 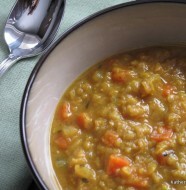 When it has simmered for about 5 minutes it should coat the back of a spoon and have a smooth texture. Now add the blended garlic/onion mixture to the pot. 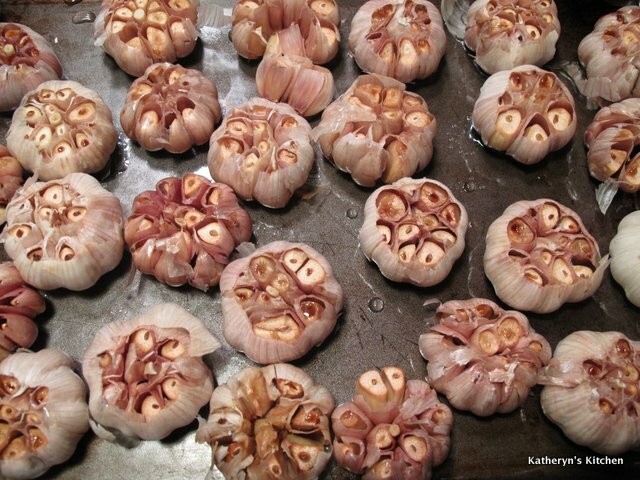 Mix well and season with salt and pepper. Bring again up to a simmer. Add the 1/3 cup of cream if you like, it’s optional. 6. You can use bought or homemade croutons for the garnish. Homemade are very easy to make. Cut bread into 1 inch chunks, 3 cups will do. 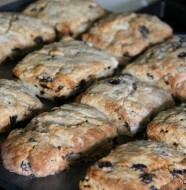 Throw into a medium sized bowl and drizzle over the bread chunks about 1/4 cup of olive oil or melted butter. Season with salt and pepper and herbs or minced garlic it you like. Mix well. 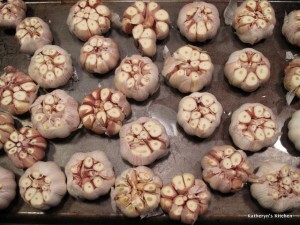 Place evenly on a baking sheet and bake in 350 F oven until golden brown, about 15-20 minutes. You may need to move them around a little to make sure they brown all over. 7. 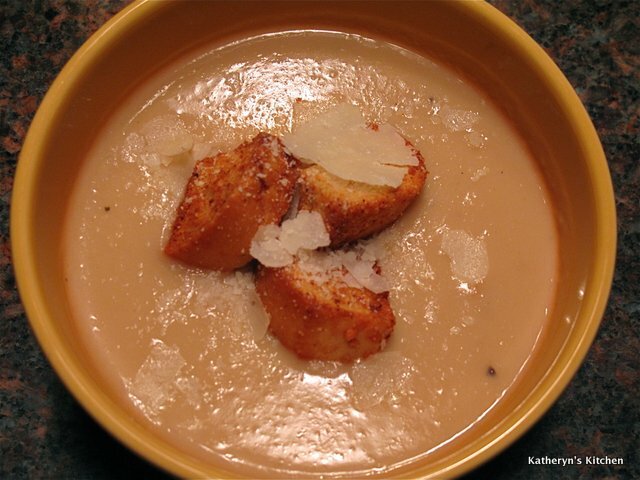 Serve soup hot with a garnish of croutons and shaved parmesan.